I have bad news for Madam Goh Beng Choo. 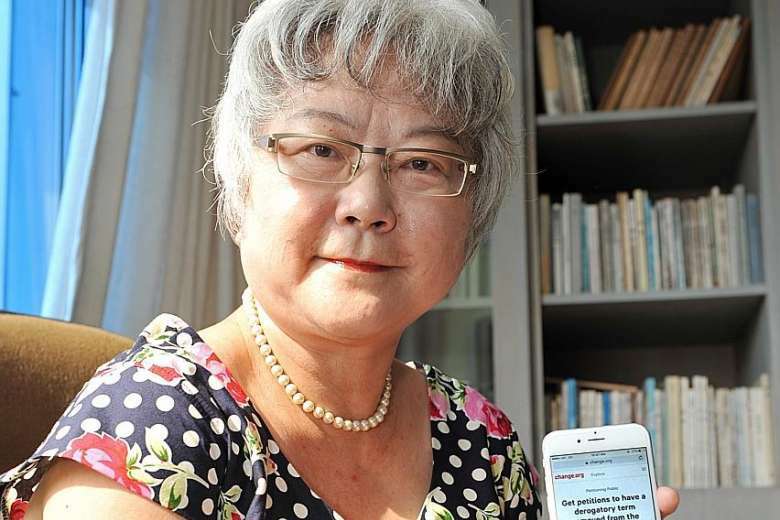 She’s the 64-year-old lady who started an online petition to have the derogatory term “Chinese helicopter” removed from Oxford English Dictionary (OED) in May. The term is still flying high in the OED. The online version, at least. I, too, started a petition to have the derogatory term “sotong” removed because it is highly disrespectful to tentacled marine life and insensitive to blur Singaporeans of all ages. The term is still swimming there in the OED. The online version, at least. In three months, my petition has garnered a total of one signature — mine. Well, it’s still as effective as Madam Goh’s petition, which had 498 supporters as of yesterday. That is, not effective at all. “The term ‘Chinese helicopter’ uses punning to tease Chinese-educated people in Singapore. “It is highly disrespectful and if it stays in the dictionary, it will give the impression that it is an acceptable term. “It is actually insensitive and highly derogatory and will hurt millions of elderly Chinese-educated citizens. Actually, I first heard of the term in the army. So if Madam Goh really wants to protect the language learning of young generations of Singapore from being polluted, she should petition to have national service abolished. I’m sure she would get more than 498 supporters for that petition. The irony is that because of Madam Goh’s petition and the subsequent publicity, even more people learnt about “Chinese helicopter”, thus polluting the language learning of young generations of Singaporeans even further. And now, as if to add insult to derogation, in this month’s update, OED has included “Ah Beng” — a derogatory term used to describe people whom the derogatory term “Chinese helicopter” is usually targeted at. “Ah Beng” is defined by OED as “a young man of a type characterised by the wearing of fashionable or designer clothing and by behaviour considered brash and loutish”. Will Madam Goh start another petition asking for “Ah Beng” to be removed from OED too? Judging by how successful her “Chinese helicopter” petition has been, I guess not. By the way, was I the only one to find it odd that “Chinese helicopter” got into OED in March and not “Ah Beng”? That was like having the Paralympics without the Olympics. I’m glad that OED has finally remedied that oversight — but now I find it odd that “Ah Beng” got in and not “Ah Lian”. 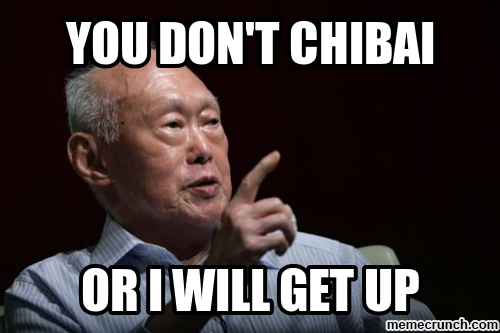 It’s like having Kong Hee without Sun Ho. I know some people find China Wine even more offensive than “Chinese helicopter”. Partly because of the “Chinese helicopter” controversy — first with many Singaporeans not having heard of the term before, then the petition — the addition of new Singapore English words in OED in March was much talked about. That has not been the case with the latest OED update despite the “Ah Beng” thing. Other new additions include “aiyah”, “aiyoh” and “atas”, which is defined as an adjective. I hope this proves once and for all that the tagline for McDonald’s Signature Collection of premium burgers — “Now everyone can atas” — is grammatically wrong. “Atas” is not a verb, McDonald’s. Oxford says so. 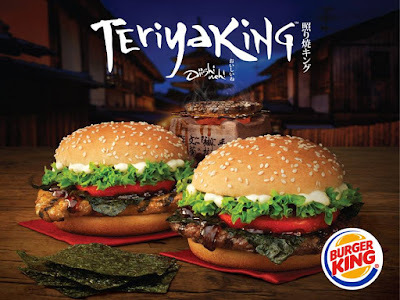 I shall start a petition demanding that McDonald’s correct its tagline after I finish my Burger King Teriyaking beef burger. Wait, is “Teriyaking” a word? I can’t find it in Oxford. One reason that OED’s latest Singapore English additions aren’t discussed as much could be that, unlike in March, OED didn’t present its new Singapore English words on a convenient list of just new Singapore English words. This time, they are presented alphabetically on a list mixed together with other new words, like “moobs”, “uh-oh” and “YOLO”. So you have to sieve through hundreds of words to pick out the Singapore English ones from the others, which is not as straightforward as it may seem. Sure, “ang pow”, “char kway teow” and “kopitiam” are obviously of Singaporean origin, but what about “cheeba”? It sounds suspiciously like another word I used to hear very often in the army. Typically from an Ah Beng. 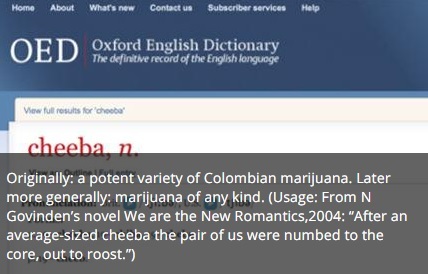 As it turns out, OED says “cheeba” is actually “a potent variety of Colombian marijuana” or just “marijuana of any kind”. And I don’t mean from the marijuana. If “cheeba” had turned out to be the Singapore English word I thought it was, Madam Goh would have cause to start another petition. Hey, Oxford, “Chinese helicopter” is one thing, but you don’t “cheeba”, okay?